Are you a musician or have formed your own band? Well, you must be looking forward to as many listeners possible worldwide- and if such a massive reach is your goal, you must immediately come up with your music website. Yes, now, you can mention about your social media page but a website is still important as it assures a professional look to your overall band and to your image as well. 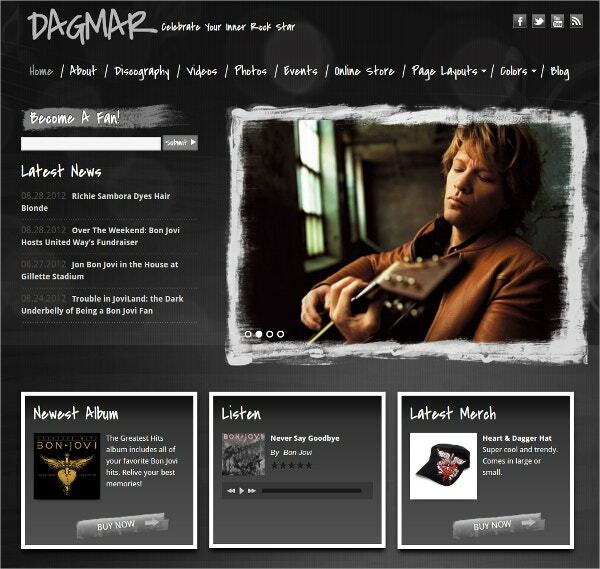 You can list your latest albums on your website so that your fans can check them anytime they want to. 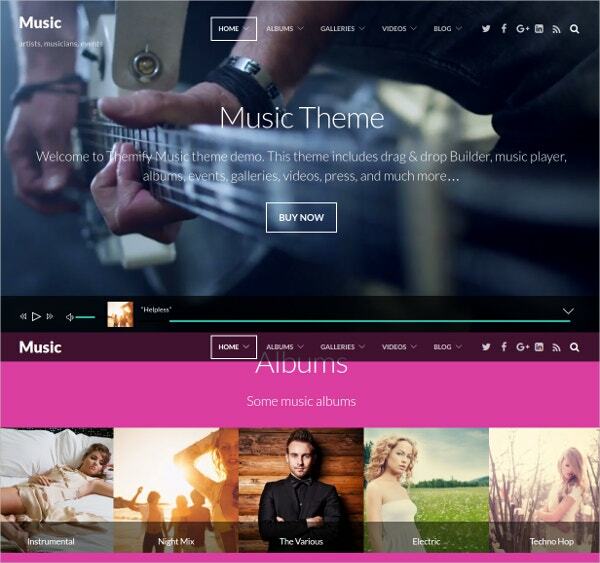 You May also See Music Bootstrap Templates. 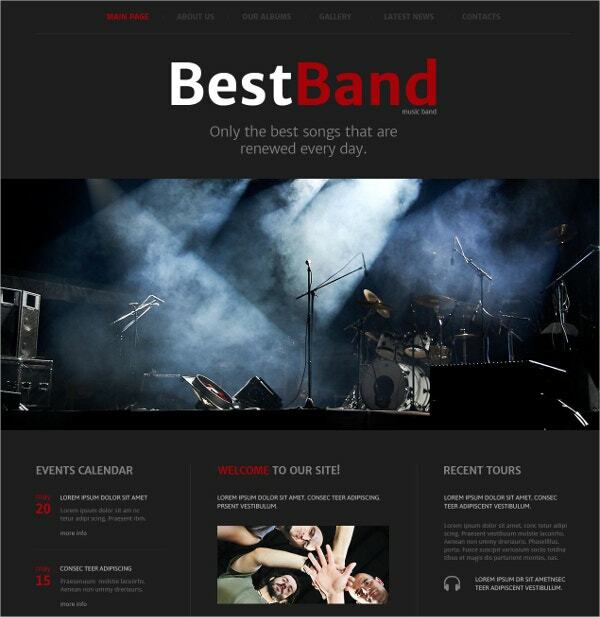 As the name indicates, the theme Music band website template is designed for music bands. It is a rare theme that is offered and hence provides some of the best features. The theme is not only compatible with various devices but also with various browsers. The theme offers a quick demo of the files and also supports in creating ecommerce website. Theme customizer for allowing the users to view the customization before finalizing it. Child theme has been added in the new update that allows you to add and modify features of the parent theme. Various color schemes to customize the templates well. The theme also offers various icons and 2 models along with instagram feed. The theme is compatible with different browsers and has a 24 hours and 7 days customer support. The theme is available in 3 languages and has 2 layouts. Of course the theme supports ecommerce and is mobile responsive. 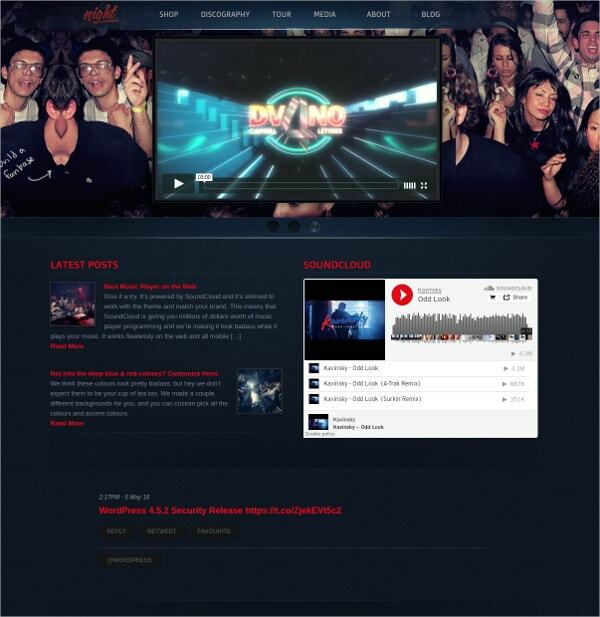 Beats is a modern website theme designed for musicians, DJs and also for websites of events and entertainment. The theme comes handy with a number of features. The theme is proper SEO optimized. It is mobile responsive and hence is compatible with all devices. There are above 100 short codes there in the theme. Customization is easy with the theme with a variety of fonts, colors and backgrounds available. 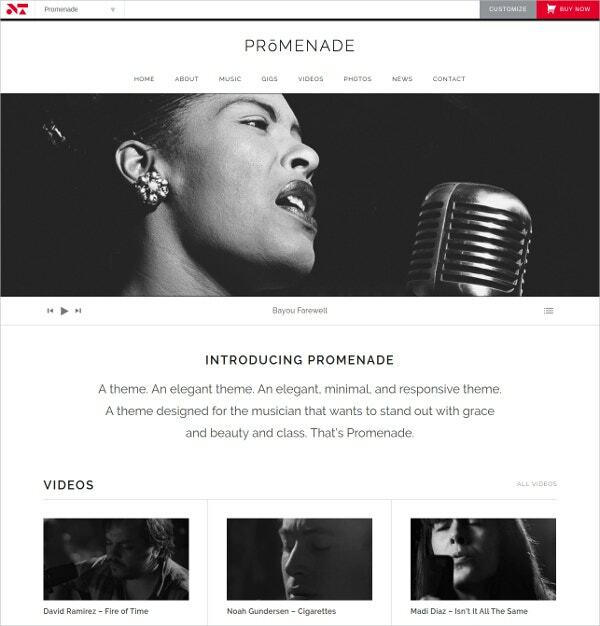 Promenade is for the musicians who wish to create a whole of album online. There options to add albums, videos along with highlighting various gigs and featured contents. The theme offers a number of features. The theme also features ecommerce plugins, translation and also is highly mobile responsive. 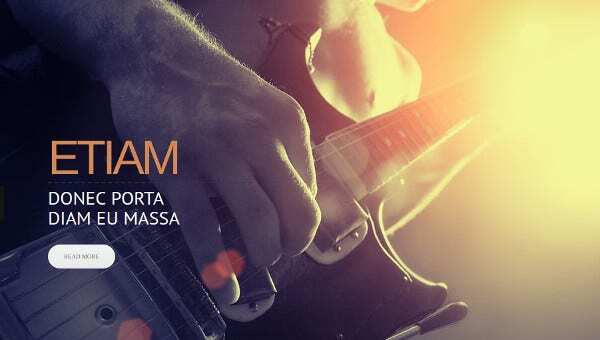 The theme Music and Events Parallex has been designed by Themify and is perfect not only for bands and musicians but also for song writers and event managers. There are a number of features that the theme offers. The theme is compatible of WooCommerce and is available for varied devices and varied browser. 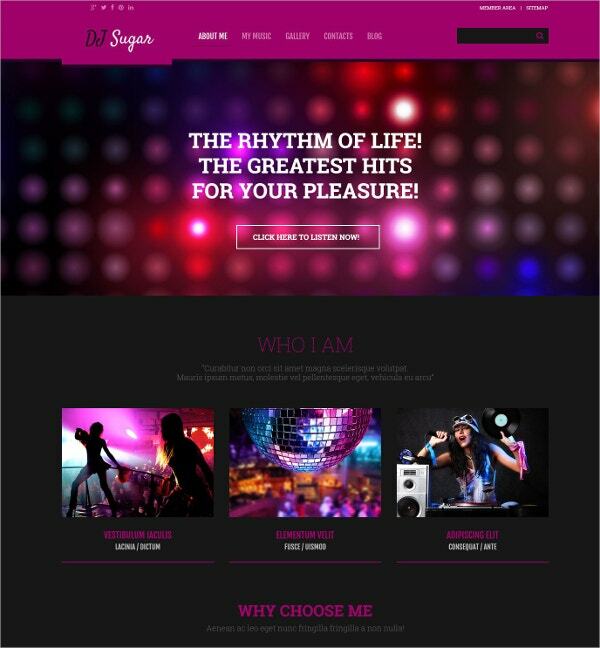 If you are a DJ or have a similar business, this can be the perfect website theme for you. 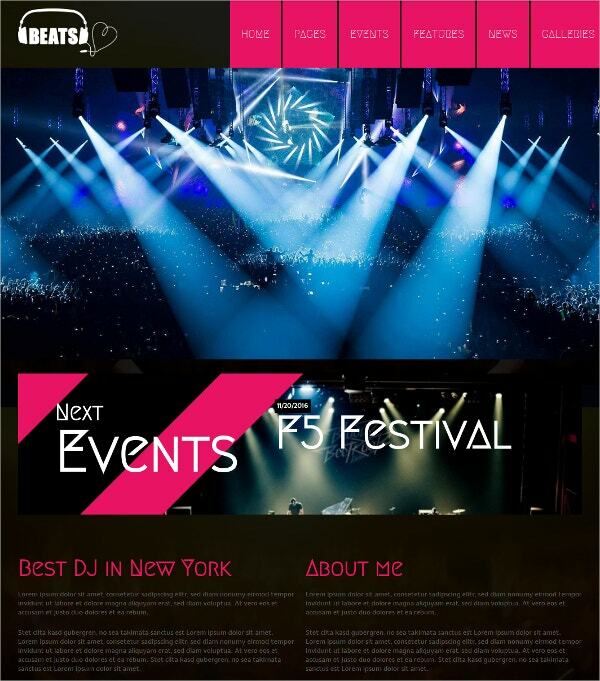 To support and help you in your DJ venture, theme offers you with a number of features. The theme assures quality guarantee and also provides a customer support of 24 hours a day and 7 days a week. The theme comes along with demo so that it is easier to use it without any complications. 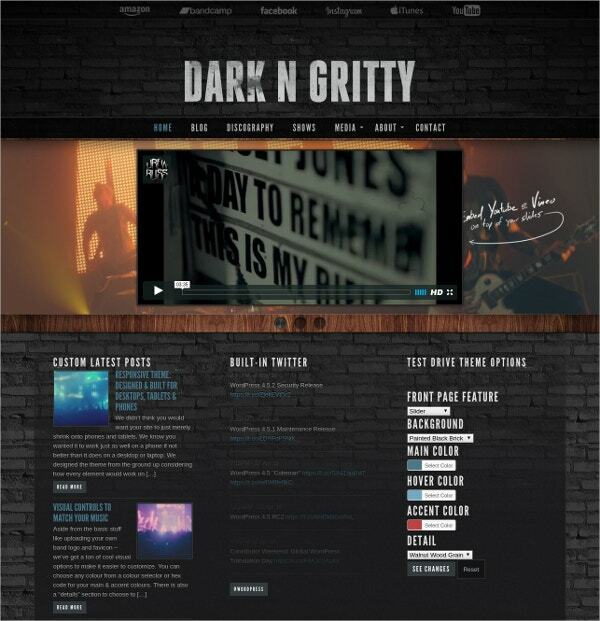 The theme Dark and Gritty is for those musician and artists who wish to have an online site in order to promote certain events or their videos or audios. The amazing looking theme also has a number of features to offers. The theme can be used as a demo before getting it. Also it has a tutorial to learn how to operate it. Though the theme comes along with about 8 color options but to customize and create a scheme you may take just one minute. 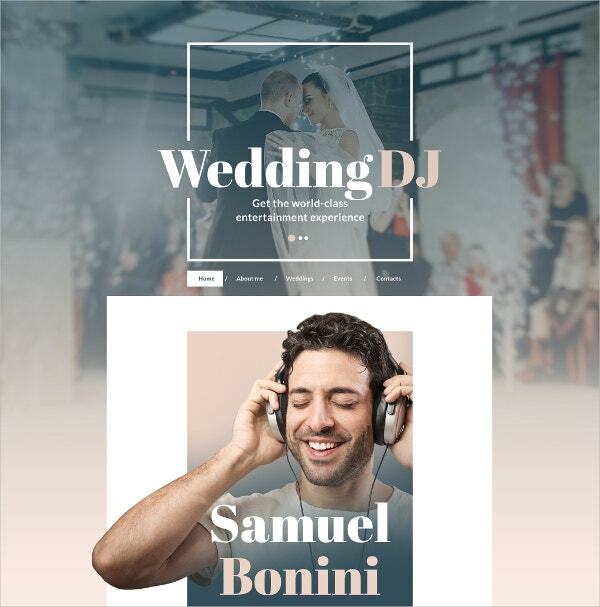 Music by Moonhunters is an amazingly creative, high quality template for music lovers. The template is fantastic and supports all devices. 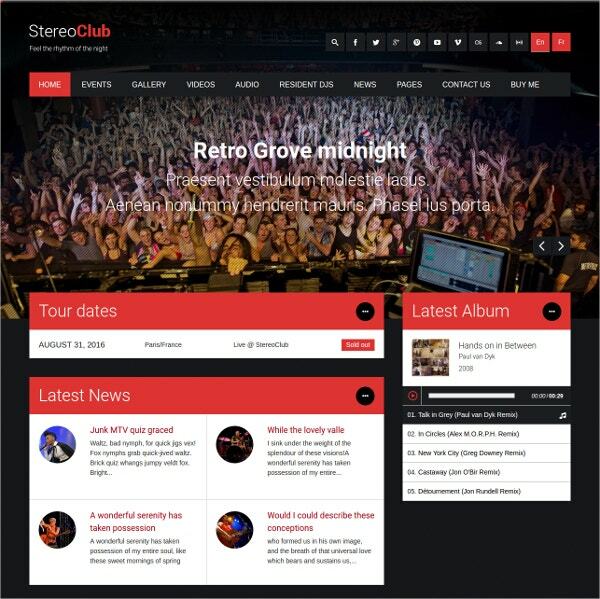 StereoClub is an amazing theme for WordPRess that lets you showcase your favourite DJs, upload beautiful photos and listen to music with a custom audio player. 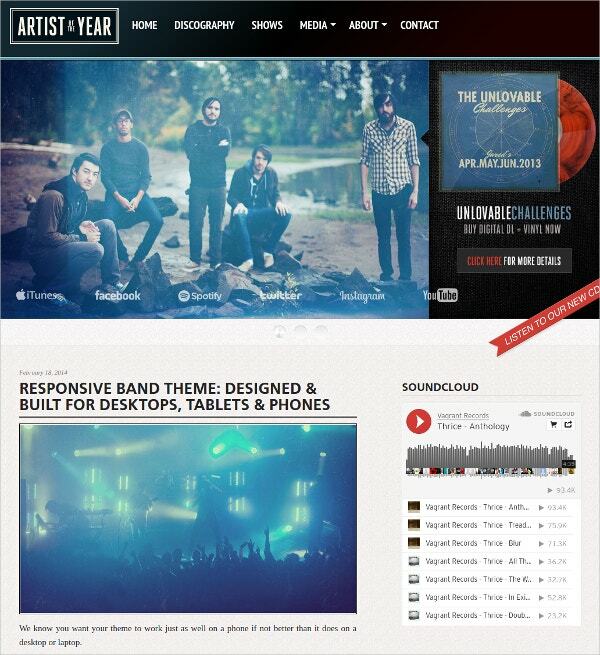 The Artist of the Year is an all round classic WordPress theme that has been designed by professionals. 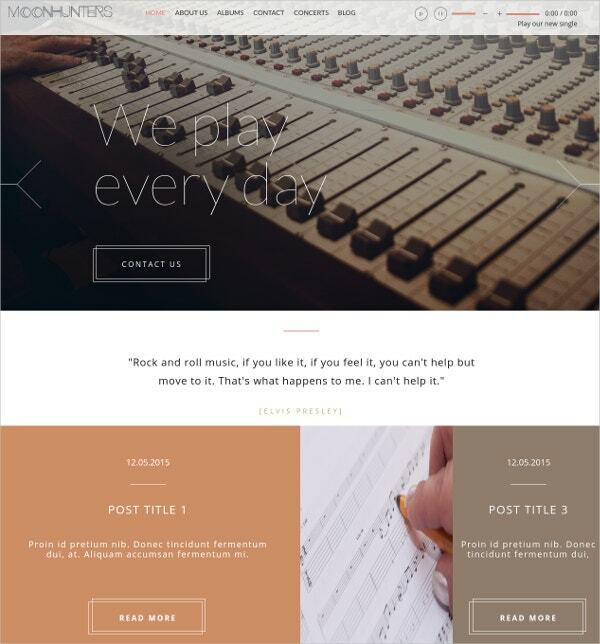 This theme is compatible with kind of music style or band. 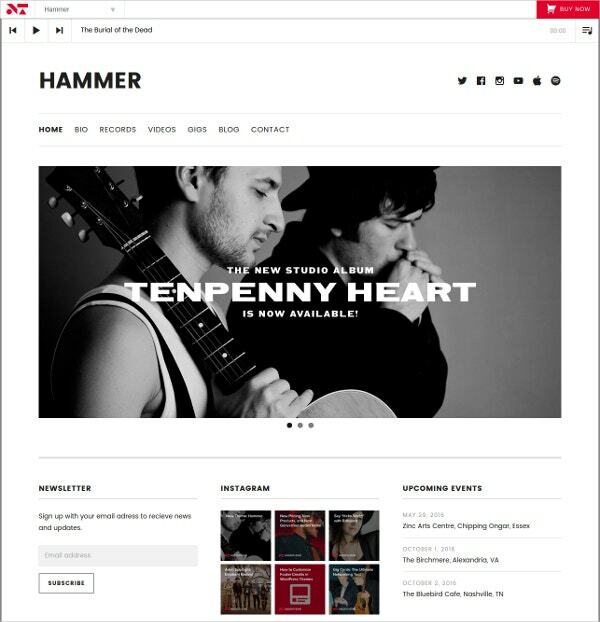 Music Store Magneto theme ranks among the best music themes for WordPress and is sure to help you make a lasting mark on the internet. It can handle any music style, artist or band. 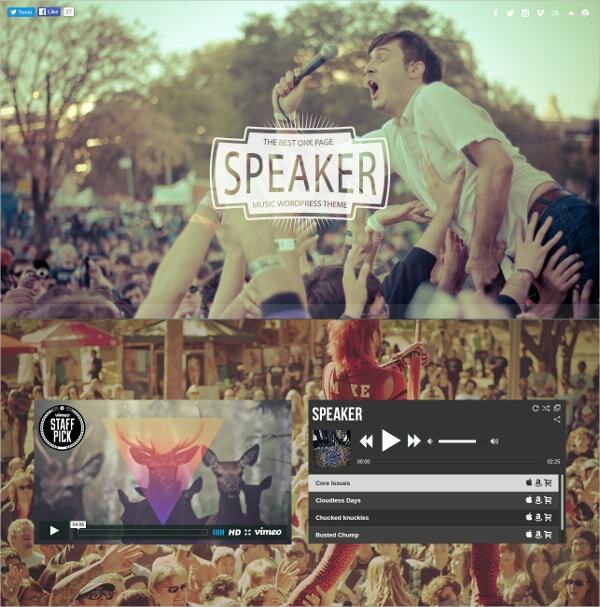 Spikes is an amazing theme that has been designed especially for bands and music websites. 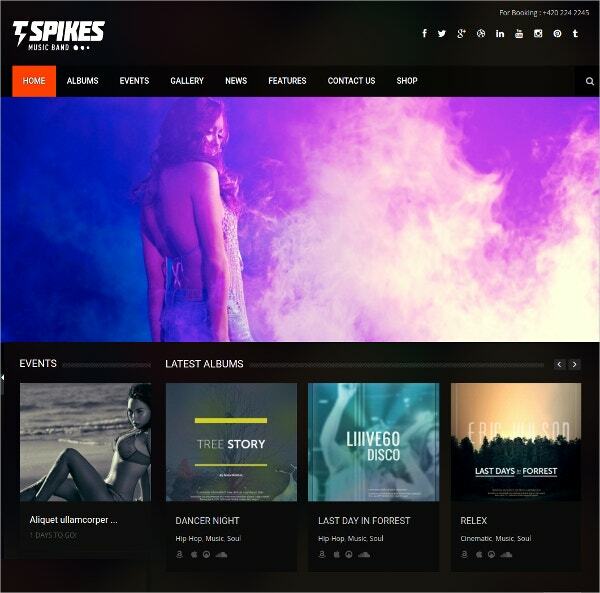 Spikes is an easy to use and highly modifiable theme. 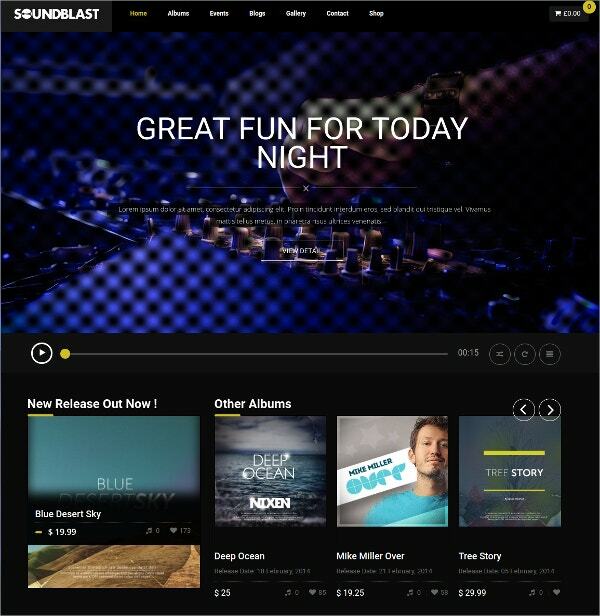 Get Loud is the most efficient theme to display your music to the world. It can be edited to suit your unique personality. Our Band is a very specific template for very specific clientele. 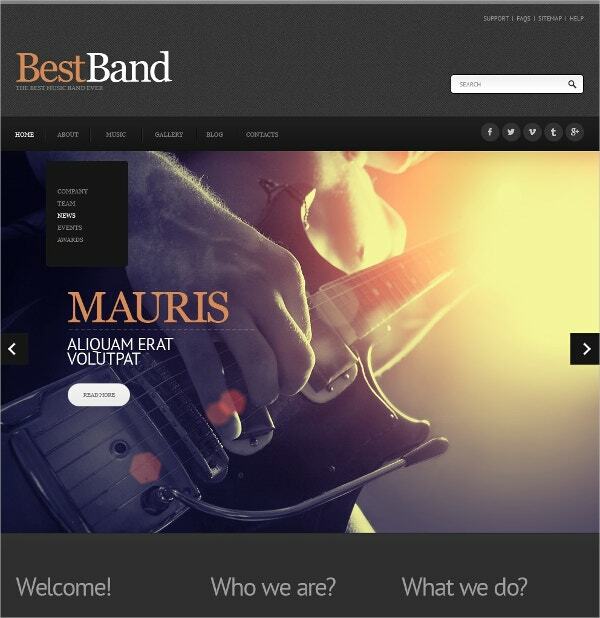 This is perfect for bands, be it a high school band or a professional one, this template will meet all your needs. 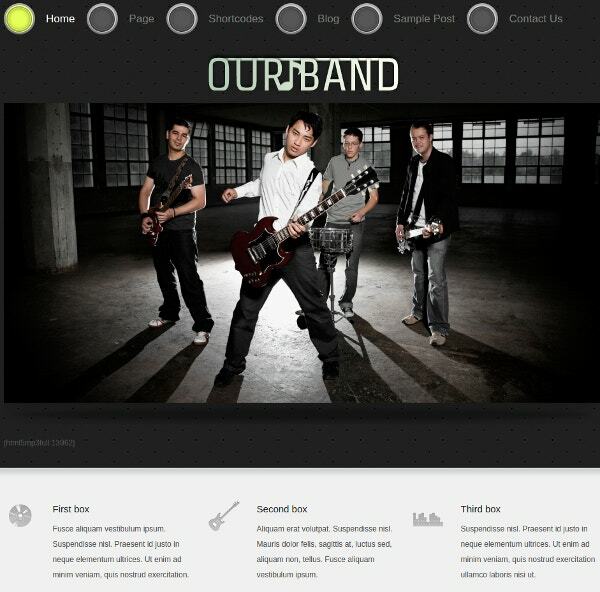 Ironband is one of the boldest WordPress themes available on the net. 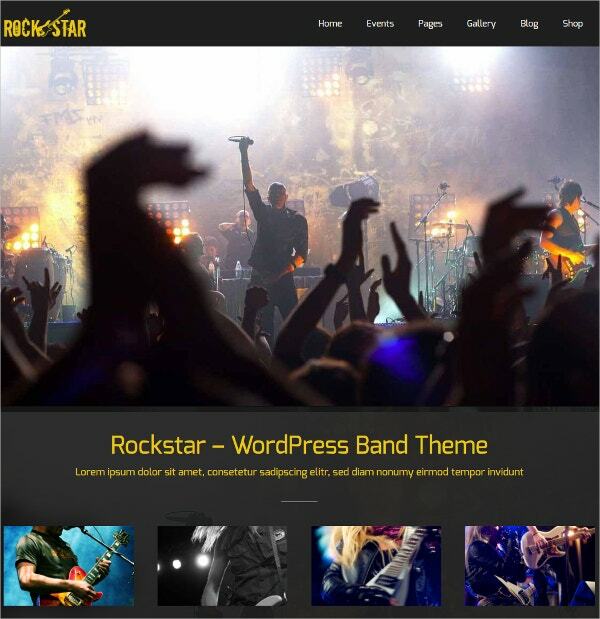 This rocking theme is wel suited for musicians, DJs, bands and venues. 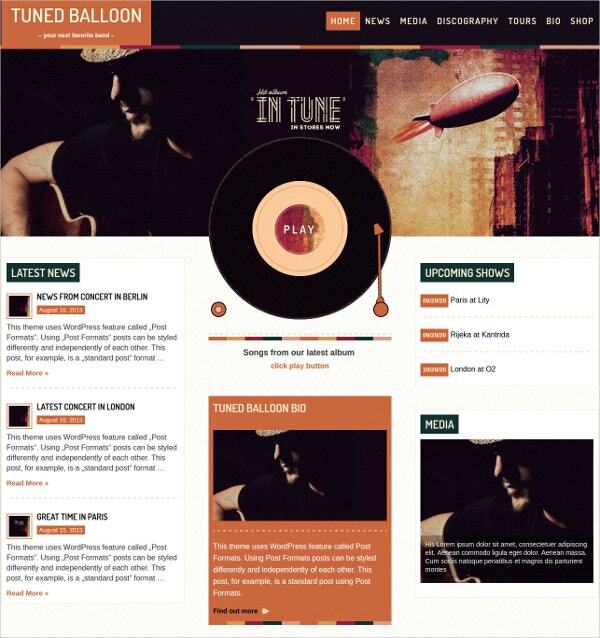 Jukebox is the best modern music theme for WordPress. 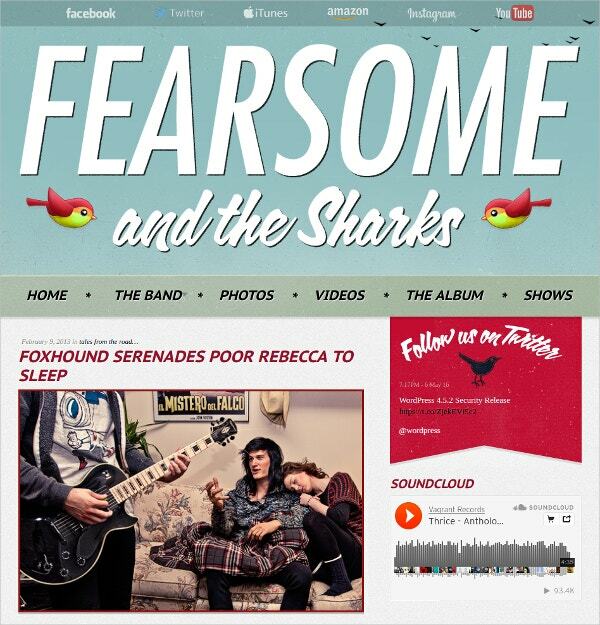 This theme has been created by professionals especially for bands and music websites. 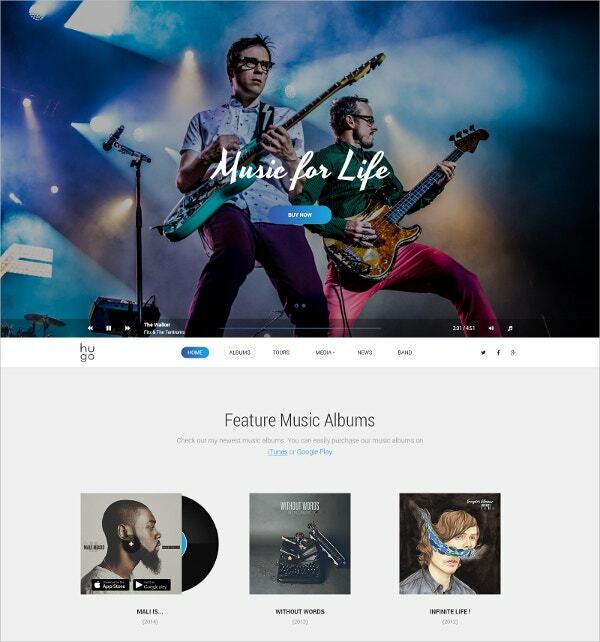 The most suitable template for music lovers, individual artists and bands is here and it is called Twotone. This is an amazing theme built by professionals that takes care of all your needs. Indiefest is a big, epic, visual theme that has been created especially for indie rockers, artists, folk musicians, pop stars and music festivals. It is highly customizable. 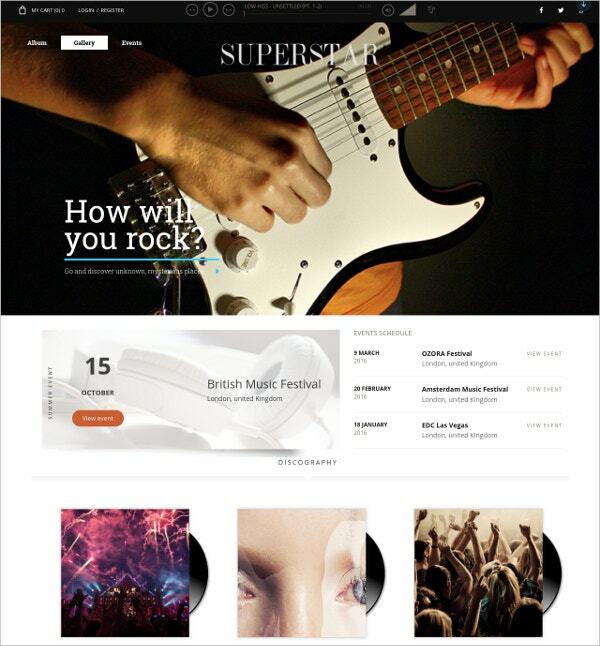 Singers is an amazing template is perfect for creating your portfolio as a singer. 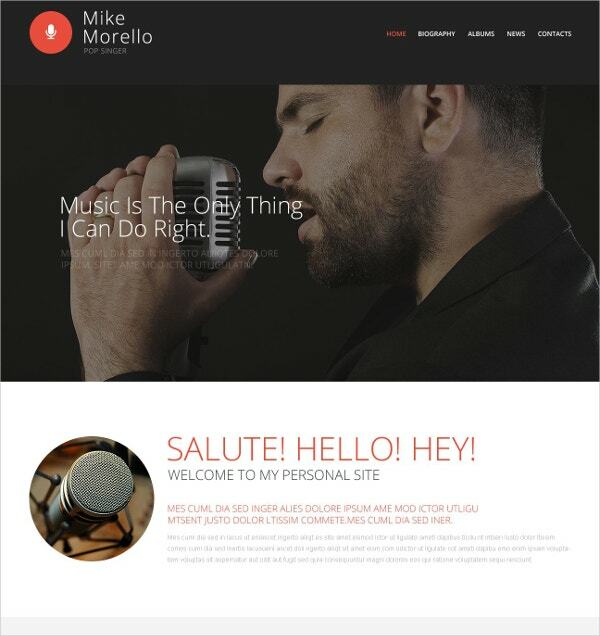 This template is one of the most popular portfolio makers available on the web and is the top choice for many singers all over the globe. Integrated with popular social media sites like Instagram, Facebook and Twitter. The Night is an amazing dark WordPress theme that looks gorgeous and is perfectly suited for producers, musicians and DJs who stay up later than the last call. It is truly a theme for all night owls. 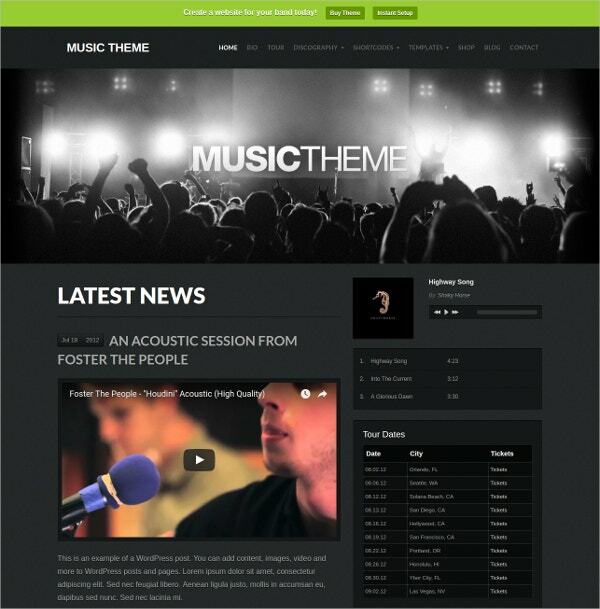 Musictheme is the ultimate WordPress theme for artists, bands and musicians. 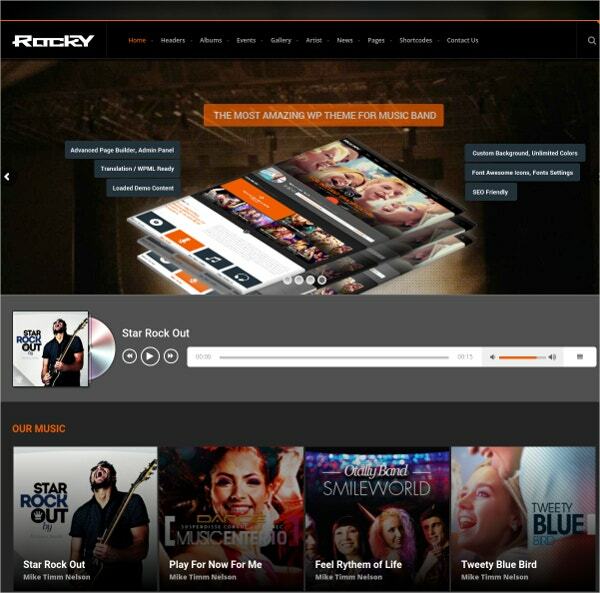 You can play, sell or even distribute your music. 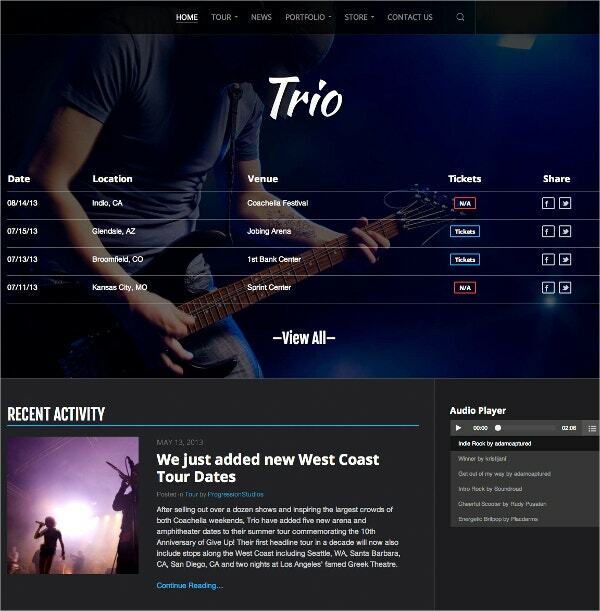 It lets you list tour dates, performance dates and lots more. This theme lets you do it all. 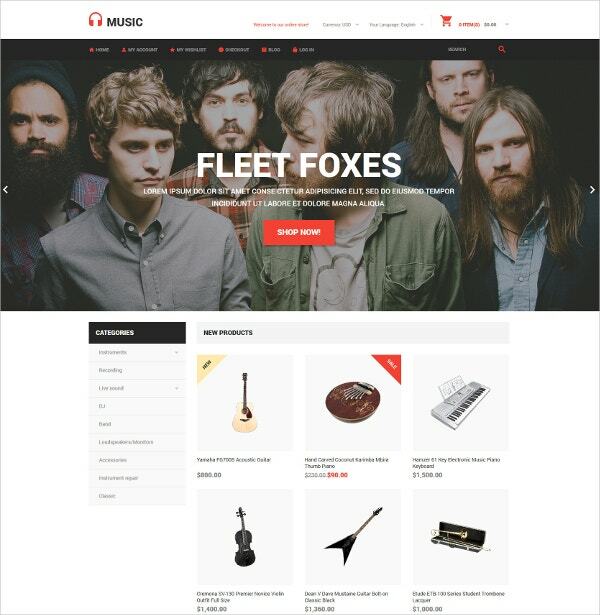 Online Music sales OpenCart template is a theme that has been designed to help you sell your music online. It helps you boost your sales with the help of online marketing. It is quite useful for not only musicians but also small entrepreneurs. Moreover, fans are always eager to know in details about their favorite music artist or band. 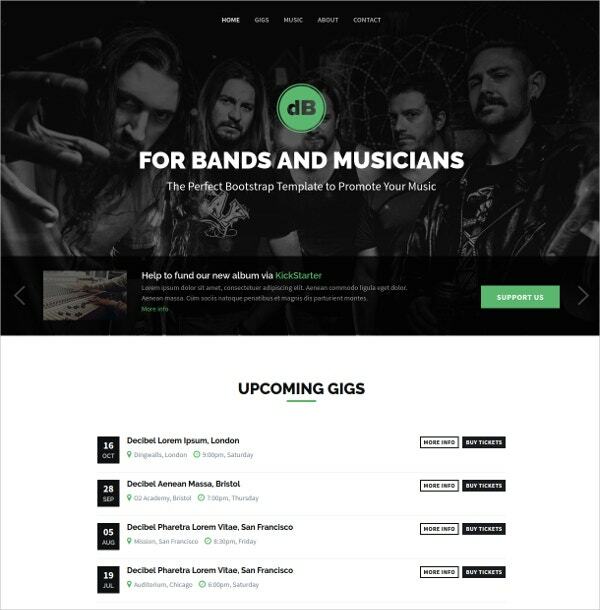 Your website will offer you the needed space to share your bio and that of your band members. 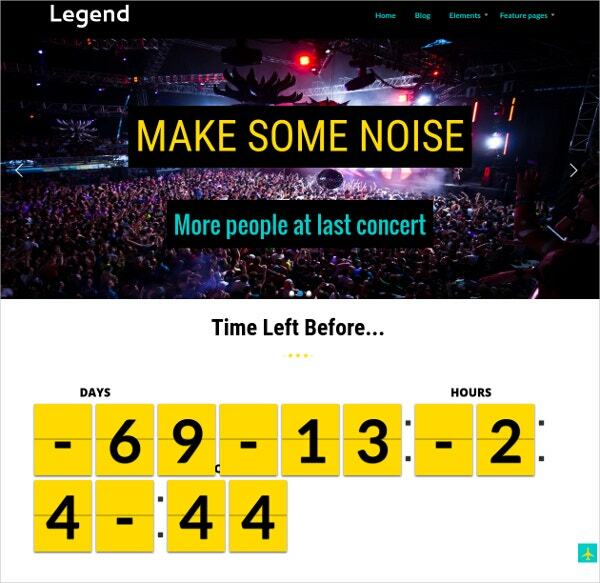 Then, your website can also inform your fans about the upcoming events or concerts that you are about to attend. Besides, your website will also help you to note about your awards or great reviews received from experts in the industry. 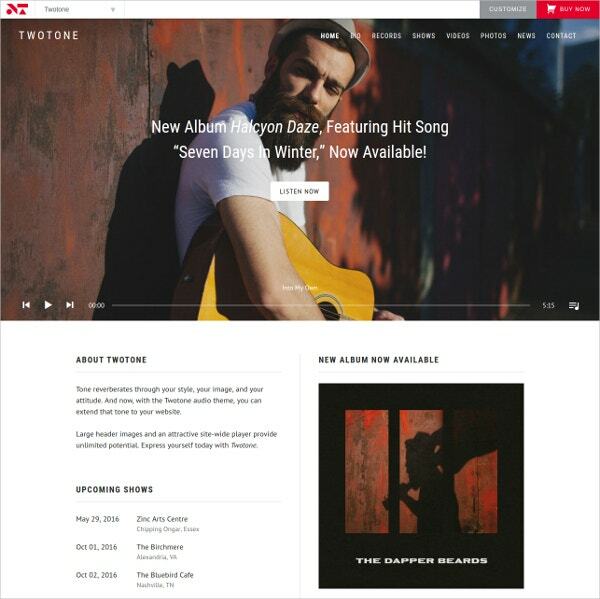 These days, it’s easier and simpler to build music websites with Music Website Templates. 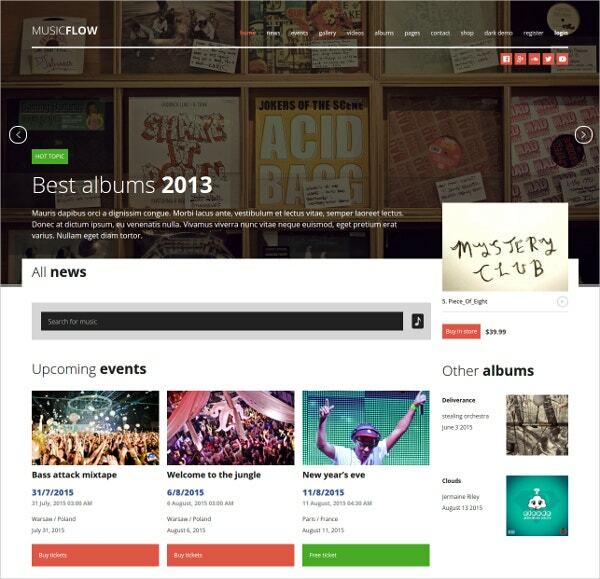 Music websites cover a wide variety of range. First of all, it could mean website for a music artist or a music band. 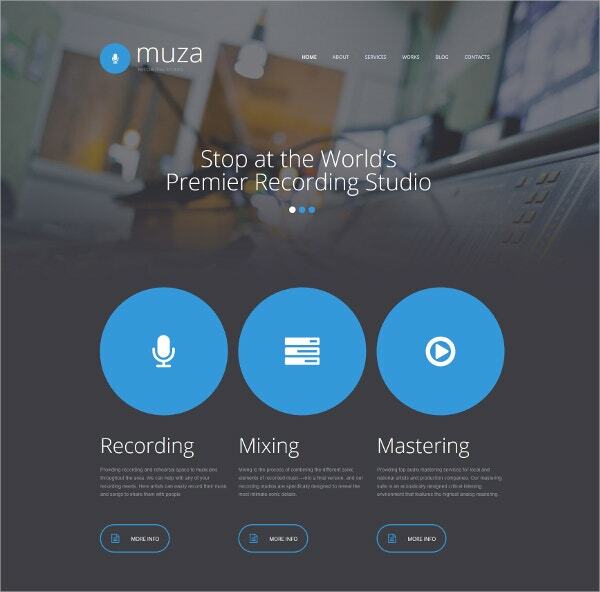 Then, a music website is also good if you are running a shop on music albums and CDs and want to come up online for the ease of listeners and also to reach a global audience worldwide. 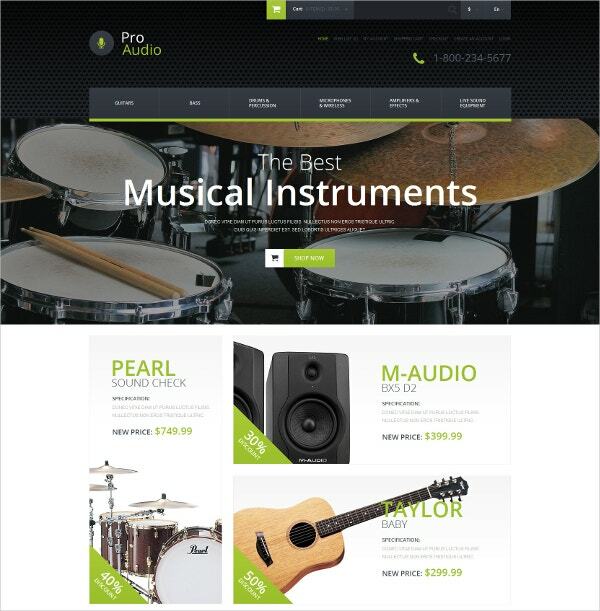 A music website would be needed as well if you sell music instruments. Besides, if you have your own music academy, a music website would do much to spread the world about you to your potential students. 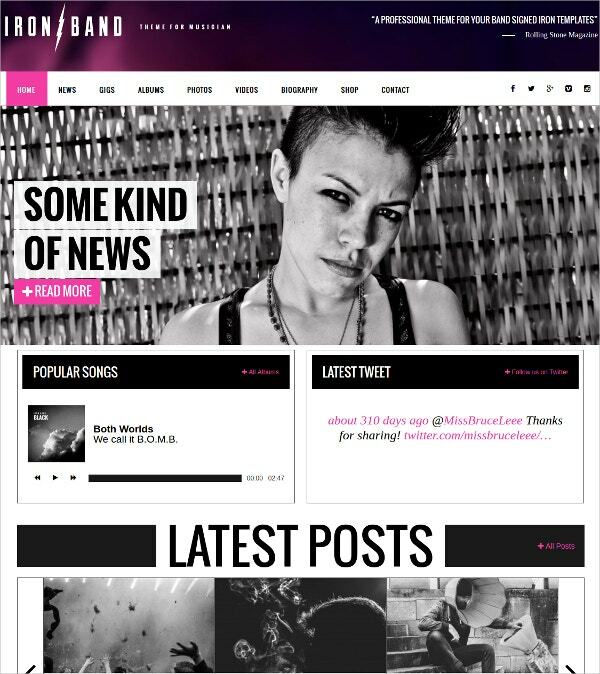 You May also See Music Blog Templates. Creating a music website is an elaborate affair. You have to have knowledge on web development technicalities and if you don’t have such know-how, you have to depend on expensive services from web development professionals. But Music HTML5 Templates are a savior here as they come up with readymade frameworks on a music website, so that- neither you have to know advance technical skills nor you have to depend on web development professionals. 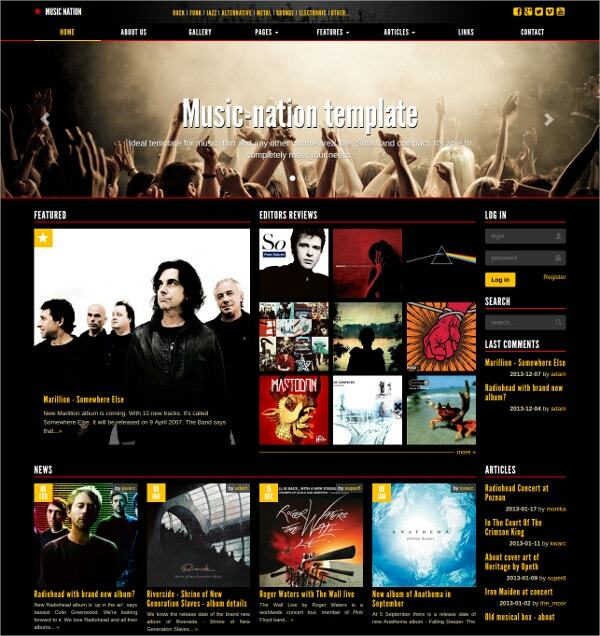 In some cases, you will also find free music website templates. Besides, these are easily customizable; you would just have to download the theme and pep it up with your details. 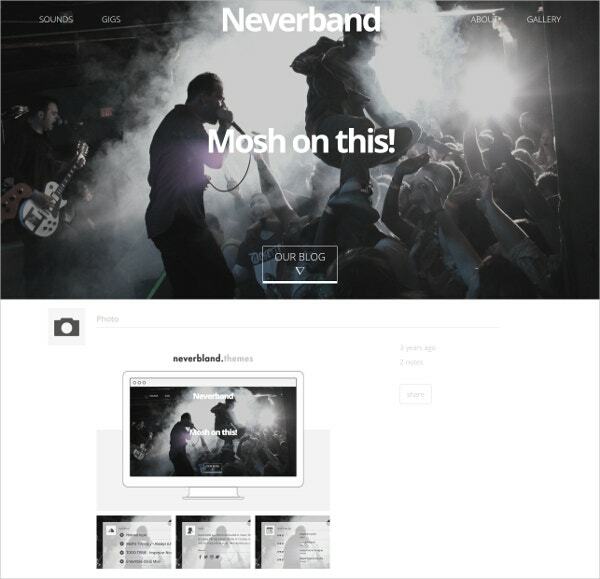 Thus, these band website templates are great money, time and energy savers. 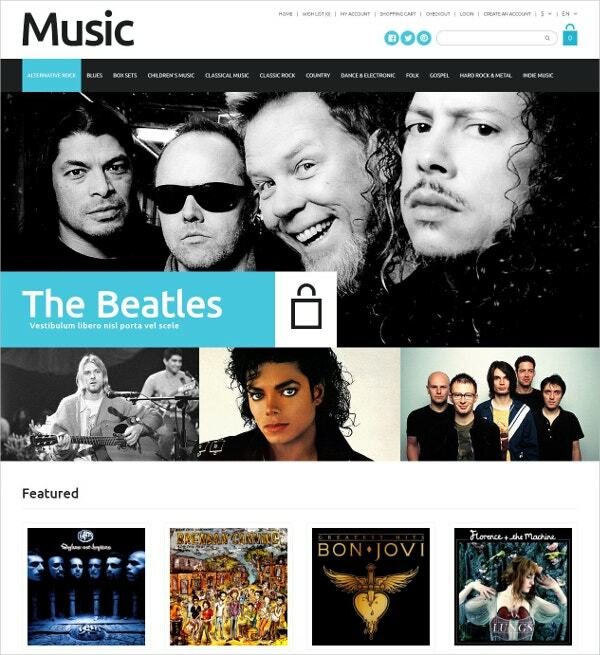 You May also See Music PHP Templates. If yours is an online music store, offer multiple payment options. If you are uploading any information about your upcoming musical tours or shows, make sure to offer correct information about date, time, venue and tickets. 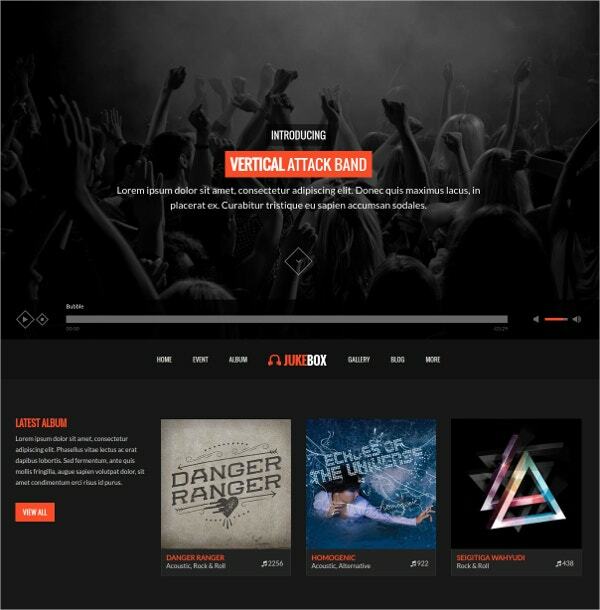 If you have been in search of best music website templates online, template.net is the site for you with its vast & versatile collection of expert-designed music site templates. 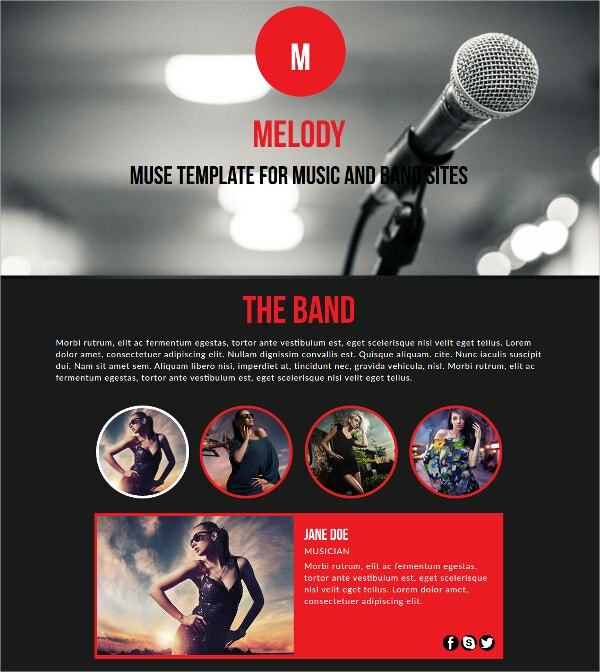 You May also See Music PSD Templates.